Look at these gutters after 11 years! You’ll see nothing but a small amount of shingle grit and dirt that washed into the gutter. No leaves. No debris!!! This is a customer that has plenty of tall mature trees on their lot. 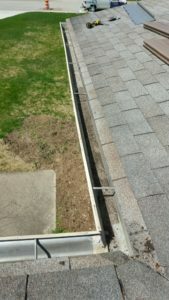 Like most homes we install Gutter Cap on we have NEVER had to return and clean their gutter system. 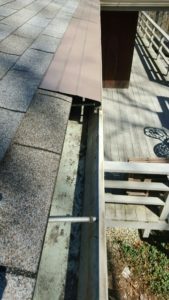 Like most of our customers they also recalled they needed to call us to remove the Gutter Cap before they had their new roof installed. 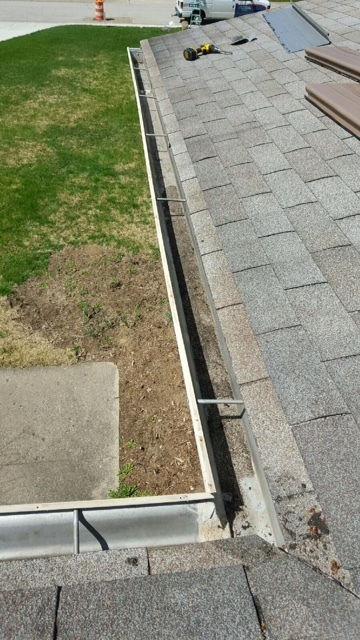 We strongly suggest customers have us remove their Gutter Cap Gutter Covers when they are having a new roof installed. For several reasons, but perhaps the biggest is the fact if someone else takes off and installs after the new roof is completed we can not guarantee the NO CLOG warranty in the future.